This home located at 4209 Breckenridge Ln Louisville, KY 40218 offers wonderful privacy due to its position on nearly a half acre of land surrounded by two neighboring properties on five acres each. The home has three bedrooms, two full bathrooms, and includes over 2300 square feet of interior space. 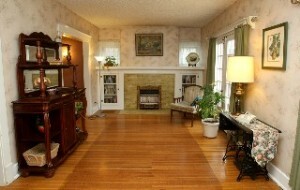 The living room is bright with sparkling hardwood floors, crown molding, and a handsome fireplace. 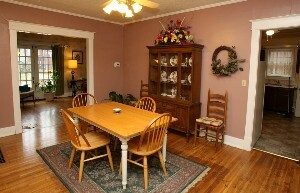 The stylish formal dining room is decorated in neutrals with crown molding, hardwood flooring, and a trey ceiling. The dining room and kitchen are connected and feature an opening to allow conversations between rooms. A kitchen window provides a view of the yard and lets in lots of natural light. The home office is large with built-in bookcases and wood trim. Two generously sized bedrooms and a full bath are located on the first floor of the home. The Master Suite, a true retreat, comprises the entire second floor with a walk-in closet and a full bath with a six foot oversized tub. A major part of the basement was recently refinished and currently houses a recreation room and excercise room. Plumbing and space are available to allow for a future wet bar and the remainder of unfinished basement space is terrific for storage. An oversized detached two car garage with two bay doors was built just five years ago with lots of space to store lawn equipment. The garage also has a 375 square foot loft which is a perfect workshop area! 4209 Breckenridge Ln Louisville, KY 40218 is in a fabulous location with easy access to dining and shopping as well as several local country clubs including the Woodhaven Country Club and Wildwood Country Club. The patio area and large yard create a peaceful setting. Lots of upgrades have been made to the property in the last several years including a new water heater, heat pump, replacement windows, siding, and dishwasher. If you would like to see this home please contact us to schedule a showing. 9610 Mary Dell Ln Louisville, KY 40291 is an attractive three bedroom brick home nestled on an open cul-de-sac lot in the Fern Creek area of Louisville. The home has two full and one half bathrooms and over 2,000 square feet of living space. Three separate family rooms and a large secluded back yard make this home a perfect fit for those who like to entertain! 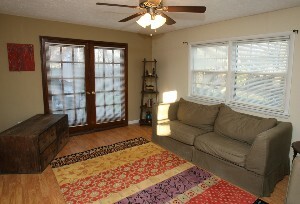 The back living room has been recently refinished with laminate flooring. The kitchen is sizable and includes a breakfast bar and recessed lighting. Upgrades to the kitchen area include a new backsplash and wall stove. A second family room area connects to the kitchen and exits into the backyard. The main floor of the home includes three good sized bedrooms as well as a full bathroom. 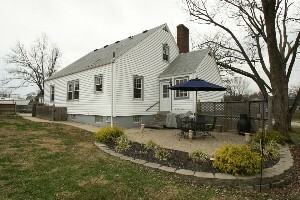 Another full and half bath are located in the finished basement along with a third living area. The spacious basement could be used as a Master Suite or a Guest Suite. With new carpeting throughout the basement, a new water heater in 2007, and a new roof in November of 2011 it is clear that the current owners have treated this home with love. 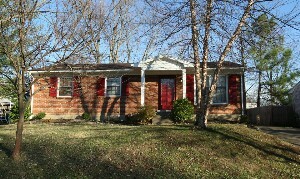 9610 Mary Dell Ln Louisville, KY 40291 is a fantastic home that has been meticulously cared for with numerous updates. The home is located in the Idlewood subdivision with quick access to local shopping and Charlie Vettiner Park. 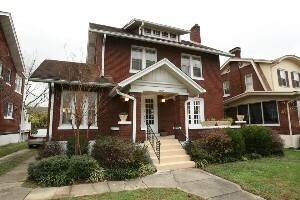 1882 Douglass Blvd Louisville, KY 40205 is a three story four bedroom two bathroom home in the amazing Highlands Area. 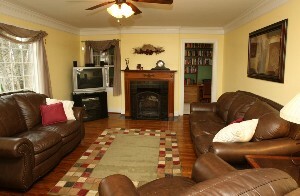 The living room features a fireplace, bookcases, and hardwood flooring. A beautiful sunroom connects to the living space and provides an inviting atmosphere for relaxing with a good book. The home's formal dining room can be conveniently accessed through the kitchen and is tastefully accented with white crown molding. The kitchen contains adequate storage space and includes a pantry. A full sized bathroom and laundry room are also on the home's first floor. Three of the home's four bedrooms are located on the second floor. 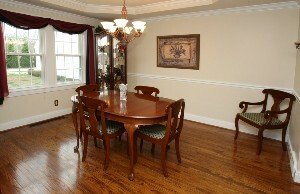 Lovely hardwood flooring is found in all three second floor bedrooms as well as the landing and den areas. The large master bedroom is privately situated on the home's third floor and has a walk-in closet and separate controls for heating and cooling. An unfinished basement contains a separate laundry area. The home has a large flat backyard with a detached two car garage. 1882 Douglass Blvd Louisville, KY has excellent curb appeal with a great front porch and lots of windows which provide natural light throughout the interior. For more information about this home in the University Park subdivision please contact us today.